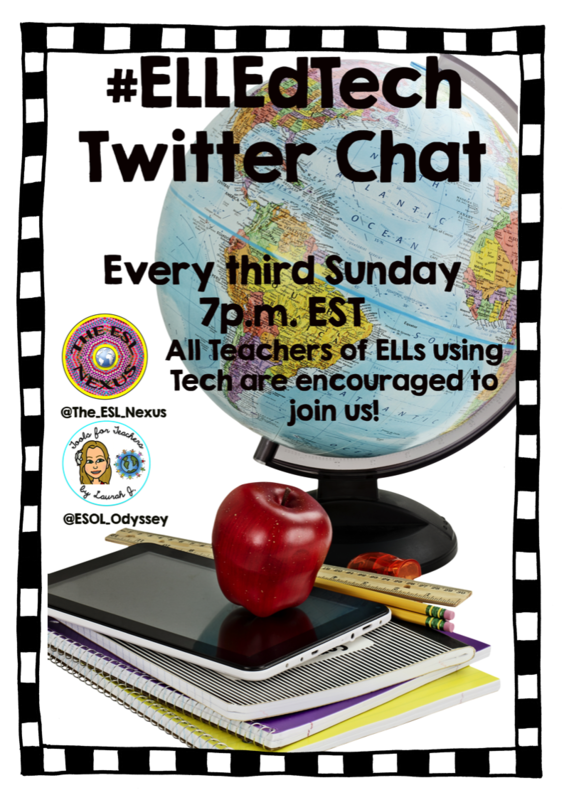 Our second #ELLEdTech Chat is scheduled for Sunday, March 20 at 7pm EST. This month's topic is Google Apps for Education and ELLs. As a Google Certified Education Trainer, I love find new tools, tips and tricks in Google Apps for Education (GAFE) to support language learning and growth for ELLs. Even more importantly, giving your ELLs opportunities to use GAFE will help prepare them for the future- over 68% of Fortune 500 companies use Google for Work. So, tune in and tell us how you're using GAFE with your ELLs!